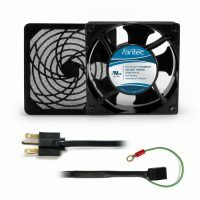 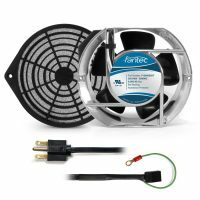 The quietest fan kits for cabinet cooling use GardTec, Incs outstanding fan accessories to produce high airflow even at lower fan speeds. 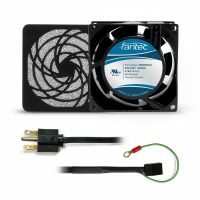 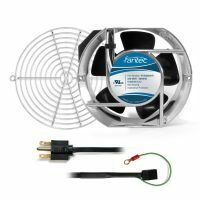 Each 230v cabinet cooling fan kit contain high quality fan from 80mm to 172mm, a wire fan guard or polyurethane filter, and a 6 foot power cord with 230 volt wall plug. 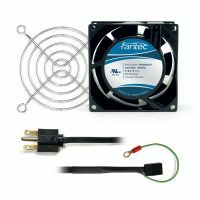 GardTec, Inc. is your answer for complete electronics and appliance cooling. 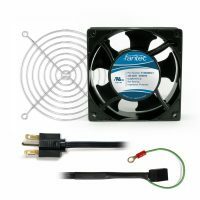 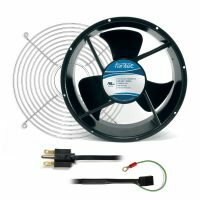 Shop all reliable cabinet cooling fan kits from GardTec to keep your appliances and electronics from overheating.